*Indoor and outdoor stair cleaning. * Table and chairs wiped. * Sink cleaned and sanitized. * Faucets cleaned and polished. * Hardware cleaned and polished. * Range hood, stove top cleaned inside and out (extra charge). * Cabinets wiped and polished. * Window sills and blinds dusted & wiped. * Trash removed, cleaned and relined. * Bathtubs, Shower and sinks. * Toilet inside and out. * All faucets and hardware. * All counter tops and surfaces. * Floors swept and mopped. * Wastebasket emptied, cleaned and relined. * Pictures & frames dusted and wiped. * Furniture dusted, wiped and polished. * Stairs, steps, hallways vacuumed. * Linens changed (if clean linens provided). * Pictures and frames dusted and wiped. * Furniture dusted and polished. * Lamps dusted and wiped. * Baseboards dusted and wiped. We've had a few different house cleaners all with different results. Some we're okay but not reliable others were terrible. 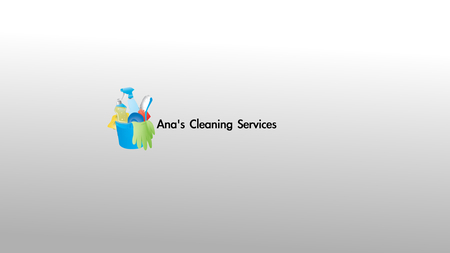 Ana's has been both reliable and meticulous in their cleaning. We have used their service in our large 3 bd/3 ba for the past 5 months and couldn't be any happier! Fair price, detailed cleaning and reliable. We would highly recommend!